With ever increasing broadband speeds, and seemingly better and better broadband deals, packages and offers, a consumer can feel more empowered than ever in their choice of internet provider. However, recently companies have come in for a lot of criticism in terms of their advertised broadband speed not being the speed that the end consumer receives. With such a confusing landscape, it’s not surprising that consumers do not know where to start with getting a broadband speed test; in this guide, we look at how you can ensure your internet services are performing as they should, and why it is so important to do so. Problems surrounding broadband speed have arose because internet service providers weren’t informing their customers that the speed they receive can change on a daily basis. In fact, internet speeds varied so greatly to the advertised rates, that consumers sometimes never received the speed that was promised. This inevitably lead to a large number of consumer complaints; the result of which is that now, internet providers must always state that broadband speeds fluctuate, and, when taking out a broadband agreement, the consumer must acknowledge they have been informed of this and that they understand. There are many free online tools that provide the savvy consumer with free broadband speed tests; whilst varying in features they all have one thing in common, and that is that they’ll provide you with the speed of your broadband as it is running currently. They will usually provide you with a download speed (in megabytes) as well as an upload speed (again in megabytes). You should undertake a broadband speed test at certain times of the day so that you are aware of just how greatly your speed in fluctuating. The ideal times that you should undertake this are peak, and off peak times; where the former is during office hours, and early evening (when many people are returning home from work); and the latter of which would be times that many people are off line (such as the middle of the night). If you find that your broadband speed is significantly slower than the speed that you thought you’d signed up to, then you should contact your service provider with all the data you have gathered. Getting a broadband speed test is vital if you are to be sure that your broadband company is providing you with the service you pay for. 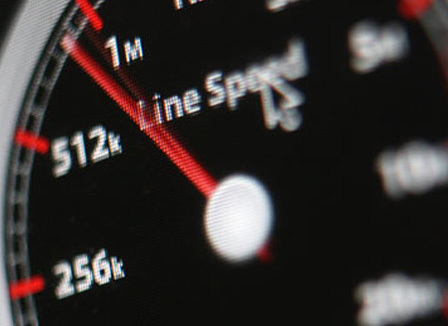 Whilst broadband speeds are subject to fluctuation, keeping an eye on the differing speeds can help you understand why and when your service may not be running as fast as the advertised rate. What did you think of this review?